Moving to a totally new city is a perfect opportunity for a fresh start and it is also considered as a very important transition in your life. Significant routine changes are very stressful and frustrating for everyone involved and moving to another city is one of the biggest changes you will go through. The stress is usually intensified if moving to much bigger and busier city, in this case metropolis – NYC. How to relieve the moving stress? 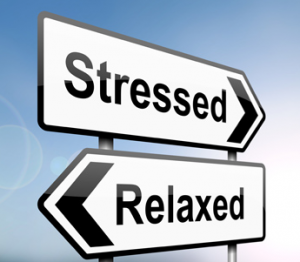 Moving stress is usually caused by problems that may appear during the moving process. Unless some unexpected events happen, there are ways to prevent difficulties during the move. – Create a master plan. With an efficient moving strategy it will be easier for you to deal with some unforeseen problems. Coming up with a backup plan will reduce the amount of stress and give you a sense of control. The relocation to New York City can go smoothly if planned in advance. Starting with moving preparation early, you will get the opportunity to plan the move meticulously and avoid unpleasant surprises throughout the move. Some moving mistakes that normally could be avoided can also cause some additional expenses and burden your moving budget. – Book your movers or a moving truck ahead especially if the moving date is set during the peak season or weekends. – If you can’t afford professionals, get family and friends help you with the move. Assign them suitable tasks, so that everyone gets involved in the moving process. Even your children can participate and pack some of their clothes or toys. On the other hand, toddlers require all day long babysitting, so find someone who can look after them while you are preparing for the moving day. – Decide what your priorities are. Create a daily schedule and try to stick to it as much as you can. – Don’t neglect yourself during the move. You are likely to get distracted by the upcoming move and skip most of your everyday activities. As a result, you may get irritated and frustrated and it will be hard for you to cope with the moving stress. So, take a moment to do something that cheers you up – listen to the music while packing, take a walk after a hard day, prepare a warm bath, go to the favorite restaurant with your friends and do anything that will relax you and give you a bit of enjoyment. – Talk about your feelings with your loved ones. Moving to NYC can get you upset and afraid of the uncertainty, so make sure to share your feelings with someone who will understand you. Accept the fact that you are going to miss everything related to your old home. Sadness caused by leaving home is not unexpected at all. You just have to embrace that feeling as a normal state and consequence of a lifestyle change. Also, bare in mind that every family member who is moving with you probably feels the same way, so show some empathy. Talk to each other in order to reduce the tension and fear. – Maintain your children’s routine. Stick to their usual activities as much as you can, since they are especially affected by the move. Give them and yourself enough time to adjust to the idea of moving and to adapt to the new environment once you reach your new location in the Big Apple. – Say goodbye to people and places you love and take all positive memories to a new home. – Stay positive throughout the move. Your positive attitude will encourage other family members so, stay optimistic during this hard time of transition. The adjustment to your new home will certainly take a while, so be patient and try to stay calm. Do I need a babysitter on moving day?